I was previously refused a UK visit visa for reasons in the attached pic. The sponsor for that visa was my sister’s British partner. At the time of my first visa application, in late 2016, my sister had an ongoing visa appeal on humanitarian grounds. 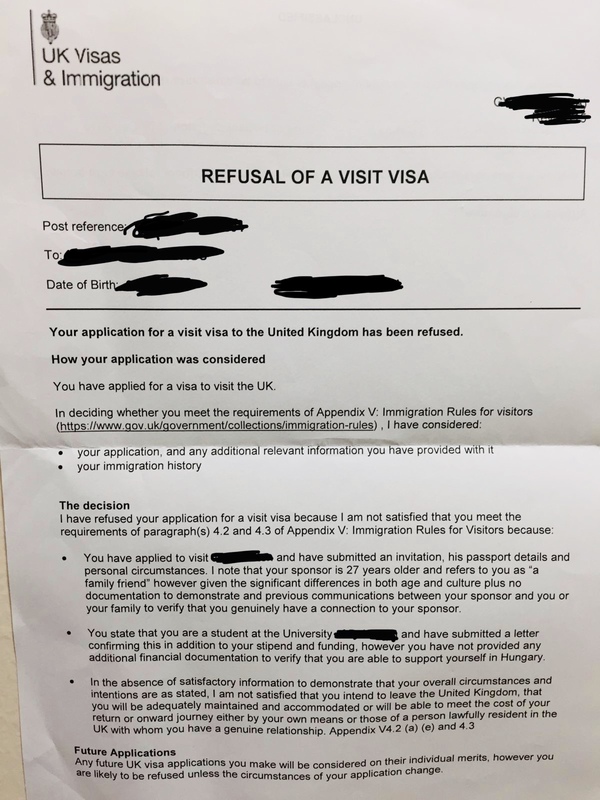 When applying for the visa at that time, I answered answered “no” to having family in the UK because it prompted me to provide her visa details which she didn’t have at the time. As such, unfortunately the connection to my sponsor being her partner was not established. My sister is now on a spouse/partner visa on the basis of their relationship and cohabitation. I have reapplied to visit again for a week over Christmas, as we haven’t seen each other in 7 years. my sister is my sponsor this time. I have not yet attended the appointment and would like some advice. My questions are: - Do I need a cover letter to address why I didn’t mention my sister last time? Could I be refused again if this isnt not properly addressed? - I’m Nigerian and have been a resident student in Hungary for 2 years. my degree is due to end in 2020(though my current visa ends and is to be renewed July 2019). my fiancée is also resident in Hungary. how do I prove this as a reason why I won’t overstay? You lied about your family connection on a previous application and now want to tell the truth? The ECO will wonder how much of what you are telling him can be relied upon. You are likely to be refused for this reason alone. It will take more than a cover letter to resolve this problem. If you admit to having lied before you risk being refused on ground of deception and being banned. If you lie again and are found out you will definitely be refused and banned. You need some serious advice from a lawyer with experience in unpicking this sort of problem. Expect this to be expensive. Not the answer you're looking for? Browse other questions tagged visas uk visa-refusals standard-visitor-visas hungary or ask your own question.